In 1999, the cicadas of Brood V emerged in parts of Maryland, Ohio, Pennsylvania, Virginia, West Virginia, and New York, and then disappeared almost as quickly as they came, leaving only their eggs and molted exoskeletons behind. Once the eggs hatched, the new generation of cicada nymphs crawled underground, where they’ve spent the past 17 years biding their time and living off of fluid from tree roots. Not all cicadas play this long game of hide-and-seek. Most North American species are “annual cicadas” whose broods emerge every summer and have unsynchronized, two-to-five-year life cycles. Only a handful of species are “periodical cicadas” that have longer, synchronized life cycles, bursting forth together in huge broods every 13 or 17 years. Seventeen years is a long time to hang out underground. Why do these cicadas spend so much time out of sight and out of mind? And why do they come out all at once? One explanation for the cicadas’ long development times is that the 13- and 17-year cycles keep broods in the same region from emerging at the same time or too quickly after each other, which minimizes competition for resources and prevents interbreeding. Staying out of sync with predators’ life cycles keeps the cicadas from becoming a reliable source of food. (It also prevents the predators from adapting or devising better ways of feeding on the cicadas.) 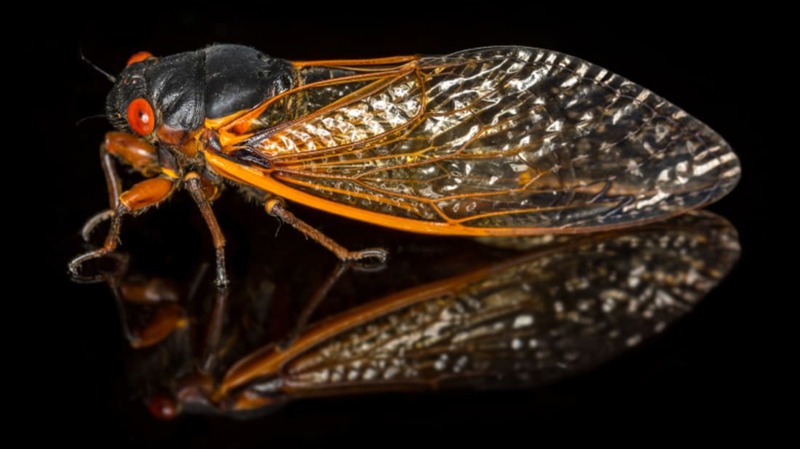 This hypothesis is difficult to test because cicada emergences are so far apart, but mathematical models developed by researchers support the idea. The long cycles might also be the result of North America’s prehistoric climate. Periodical cicadas evolved during a time when glaciers advanced and retreated over what is now the eastern U.S. Temperatures would have been unpredictably warm or cool and often too low for the insects to fly or mate. When researchers calculated the chances of survival for cicadas with different life cycles in this kind of climate, they found that the longer the insects stayed underground, the lower the chance they’d emerge during a too-cool summer. Over time, the scientists suggest, insects with shorter cycles died out, while those who by chance took longer to develop survived and reproduced. There are other explanations for the broods’ impressive synchronization and overwhelming numbers. Some scientists suggest that high population densities are necessary to produce the deafening choruses that males use to attract mates. Another idea is that there’s safety in numbers. Cicadas don’t have much in the way of defenses, but when billions emerge at the same time, there are simply too many for predators to eat them all. Even after birds and other animals have had their fill, there are plenty of cicadas left to mate, lay eggs, and start the 17-year process yet again.